Unflattering dimpling along the thighs and buttocks may be keeping you from feeling comfortable with your body. Cellulite can prevent you from wearing that new pair of shorts, or you may be reluctant to wear a bathing suit and hide under a cover up during the summer because of it. 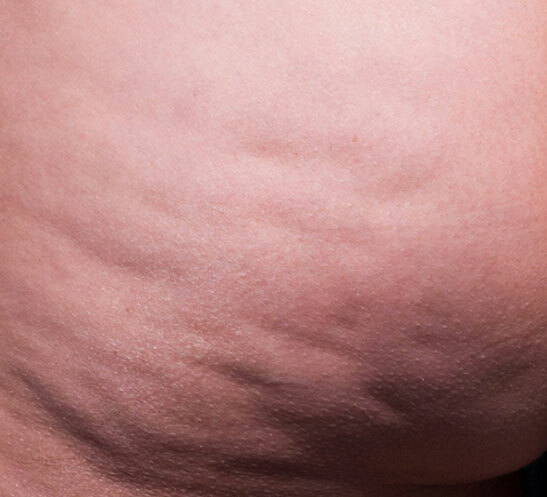 Cellulite affects 85 percent of women between the ages of 25 and 60, and even the fittest of individuals can have visible cellulite. If you are fed up with other cellulite treatments that don’t provide you with the results you desire, you’re not alone. Most treatments don’t address the underlying causes of cellulite and won’t give you the long lasting, smooth appearance you want. Cellfina™ is a revolutionary FDA-approved treatment that will provide you with the amazing, firm legs you’ve always wanted for up to three years. You can struggle to treat your unwanted cellulite and see almost no improvement in its appearance. Diet and exercise don’t address the underlying cause of skin dimpling, which is actually tension placed on fibrous bands throughout the fat. Since most cellulite treatments don’t target these bands, you haven’t seen the obvious improvement in the quality of skin. Cellfina™ targets the structural cause of cellulite by breaking the bands that cause dimpling. With Cellfina™, you won’t need to wait months before seeing the results you want. Patients may notice a significant improvement in their cellulite within three to seven days of treatment. Full, dramatic results are seen within three months. These immediate results set Cellfina™ apart from other cellulite treatments that can take weeks to develop visible improvement, if any does develop at all. Faster results will allow you to have amazing legs sooner rather than later. A complaint many women have about other cellulite “solutions” is that any results that are achieved wear off quickly. Cellfina™ is the only cellulite treatment with proven results that last up to three years. Unlike other solutions that require multiple treatments, Cellfina™ achieves your ideal results after just one, quick procedure. Longer-lasting results save our patients time, money, and frustration. In return, you gain beautifully smooth legs! Cellfina™ is an innovative approach to treating cellulite. The Cellfina™ System is FDA approved to target the primary cause of cellulite. Connective bands placed throughout the fat in the thighs and buttocks place tension on the skin. Relieving the tension from these bands allows the skin to smooth itself out. 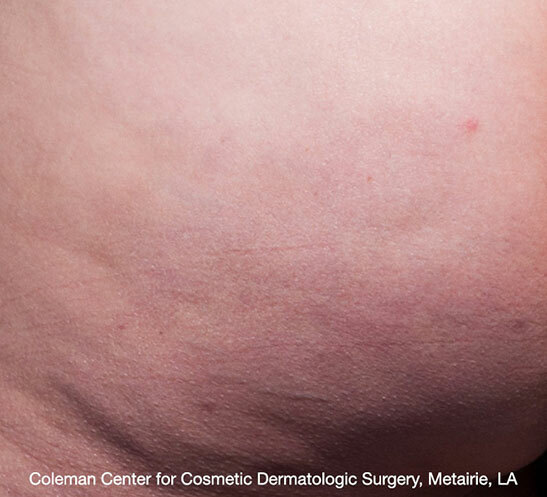 Targeting the root cause of cellulite prevents the surface of the skin from dimpling for years following treatment. Dr. Thompson can combine Cellfina™ treatments with other fat removal techniques such as liposuction, CoolSculpting®, or Smartlipo™ to achieve the slimmest, smoothest thighs and buttock possible. What will my recovery be like following my Cellfina™ treatment? You may experience some minor soreness, tenderness, and bruising following your Cellfina™ treatment. These side effects are temporary and usually subside within a week. Most patients can resume their regular activities the day after their treatment. Post-treatment pain is minimal for Cellfina™ patients. You may experience some mild tenderness that can be controlled with oral pain medicine. Discomfort is usually resolved within three days of treatment. Will I have scarring following my Cellfina™? No. Since Cellfina™ uses a small needle-sized device, incisions aren’t required. Patients won’t develop any visible scarring after their procedure. What is the cost of a Cellfina™ treatment? The cost of your Cellfina™ will depend on the extent of treatment required. Schedule your consultation with Dr. Thompson to receive your detailed quote. Our staff is eager to answer all your questions, help you schedule a consultation, and make the journey toward achieving your ideal body as easy and comfortable as possible.